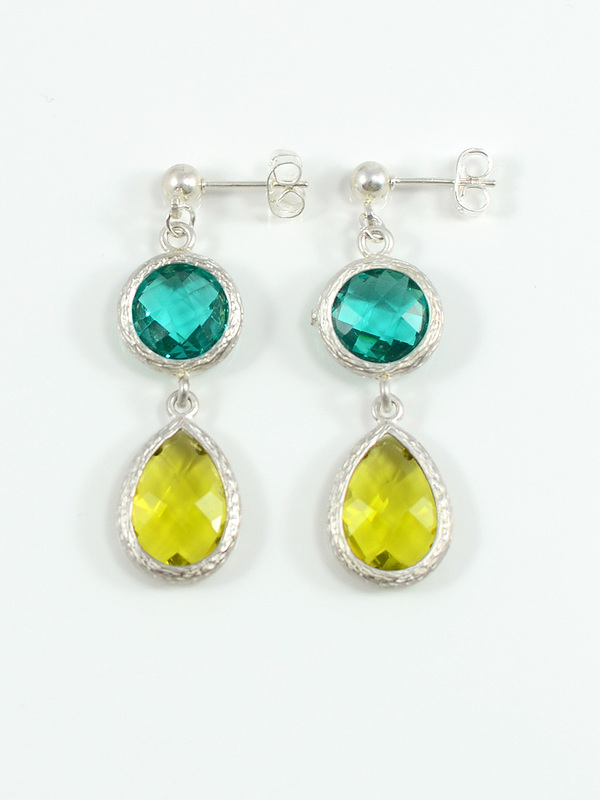 These exotic silver double drop earrings feature jewel-toned faceted glass stones in brushed silver, teal and olivine. A lovely piece of bazaar bling. 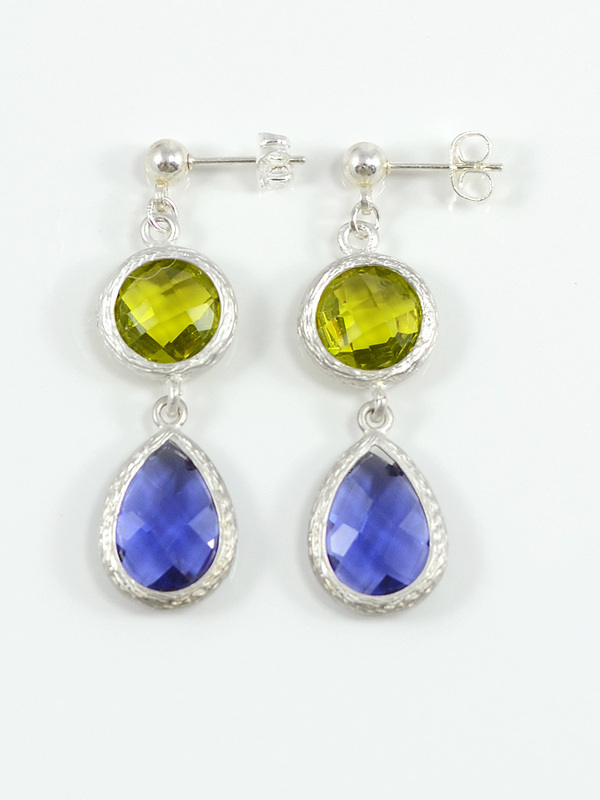 These exotic silver double drop earrings feature jewel-toned faceted glass stones in brushed silver, olivine and royal blue. A lovely piece of bazaar bling. 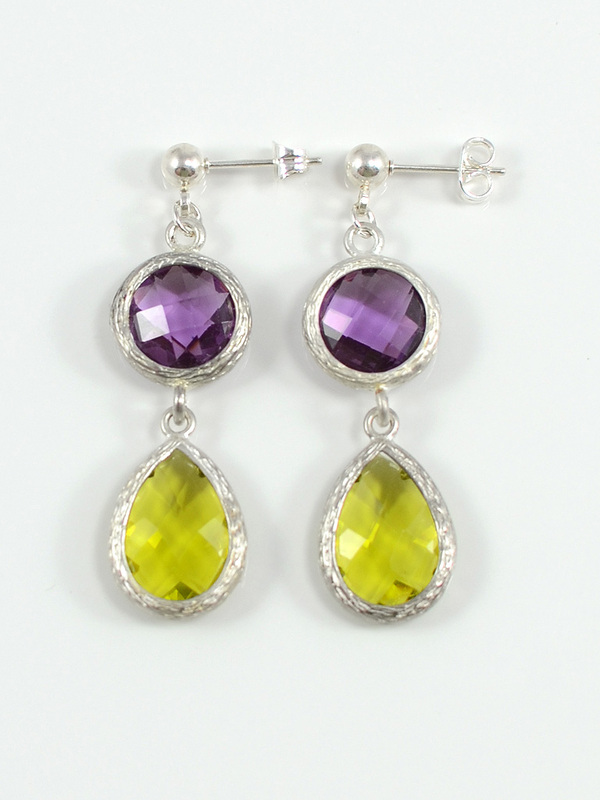 These exotic silver double drop earrings feature jewel-toned faceted glass stones in brushed silver, amethyst and olivine. A lovely piece of bazaar bling. 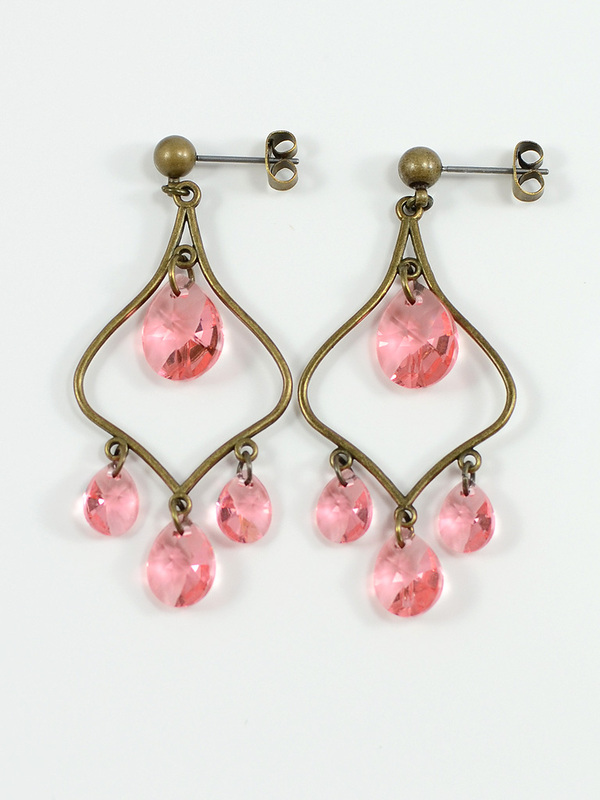 These glittering antique bronze Bollywood inspired chandelier earrings showcase beautiful Swarovski mini pear crystals in rose peach. Earrings hang approx. 2 inches. 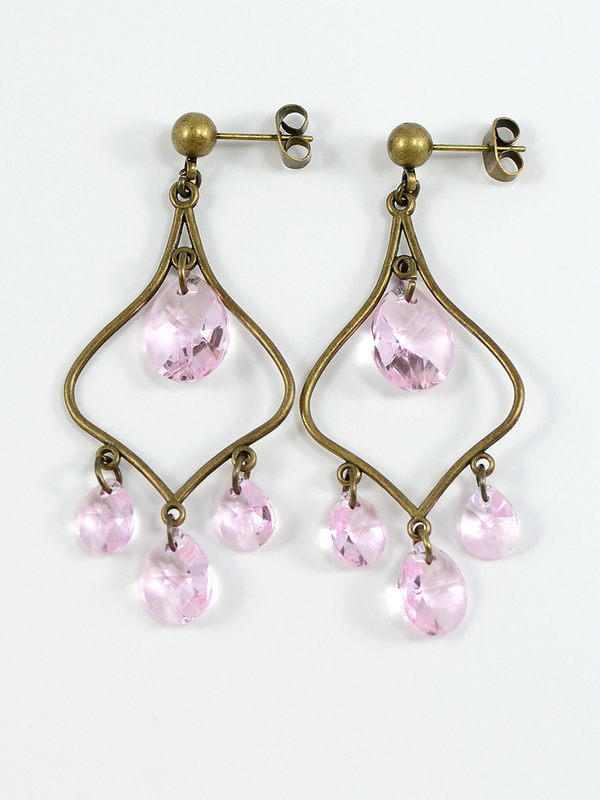 These glittering antique bronze Bollywood inspired chandelier earrings showcase beautiful Swarovski mini pear crystals in rosaline pink. Earrings hang approx. 2 inches. 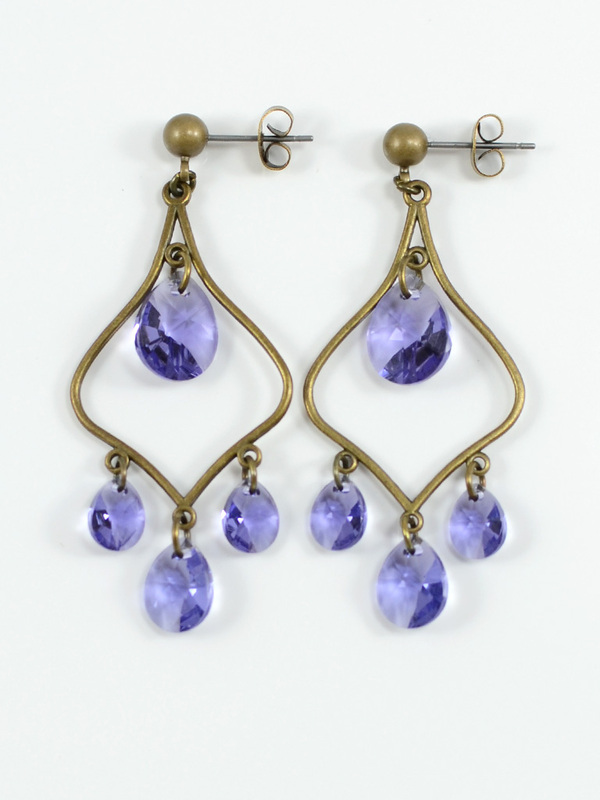 These glittering antique bronze Bollywood inspired chandelier earrings showcase beautiful Swarovski mini pear crystals in tanzanite. Earrings hang approx. 2 inches.